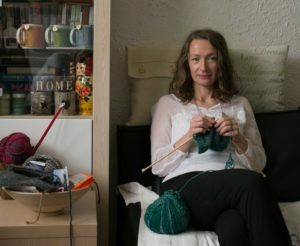 Blog Cloopko is inspiring a knitting blog written in a very creative way with beautiful pictures. Read what she says about her and my work, my dear colleague and blog author Clooko Valentina Vujačić. 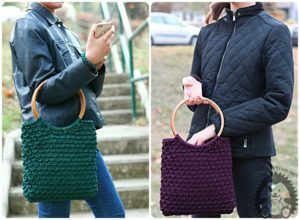 Blog Cloopko is a travelogue of my journey through the world of knitting, for which I have put together interesting items intended for family members, friends and interior decorators. The basic idea is to publish the instructions for the blog items which I have learned, because I always believed that knowledge increased when it was deli. In this way I make the right content and build a brand, and soon it will come in line and sales, which I just recently started to investigate through channels such as the Belgrade Market and Festival Katapult. 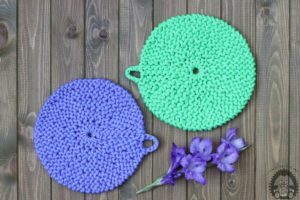 All items presented on the blog can be divided into several groups. There are decorative items such as pillows, pans, cloths and kitchen utensils. With my groceries, I've been knife-studs and several different types of fingers. Ćerke Milena and Jana (13 and 10 years) are my inexhaustible source of inspiration and I always wonder about the opinions and suggestions regarding the development of some models. Particularly they occupy sweets for families of family friends, who have caused great interest. Last time I got out of the recycled cotton strips - which was a special challenge because the cotton strips are a little easier to work with, but I'm happy with the result. I'm always in a plan to improve existing and what's next, in life, at work, and so on Cloopko's blog. 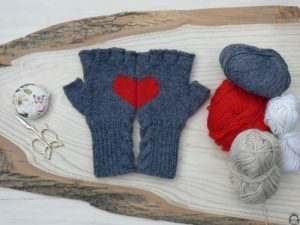 From the moment the blog started its life just over two years, the blog was supposed to be bilingual, so the instructions would be available in English as well as that the Youtube channel with the recorded knitting instructions worked in parallel. I hope to launch (ultimately) the Youtube channel, which has additional challenges in the field of video capture, installation, and video content settings, and I'm looking forward to it. Also in order to launch sales, I plan to present my subjects at the Etsy platform soon. - a car (a knitting blog Cloopko).